This morning I had elected to go on the optional excursion to Dachau, so we boarded the bus and drove for a while. Arriving at Dachau, we were all given an audio guide and set free to roam. Harris and I each decided to split and spend the time alone with the audio guide and history. 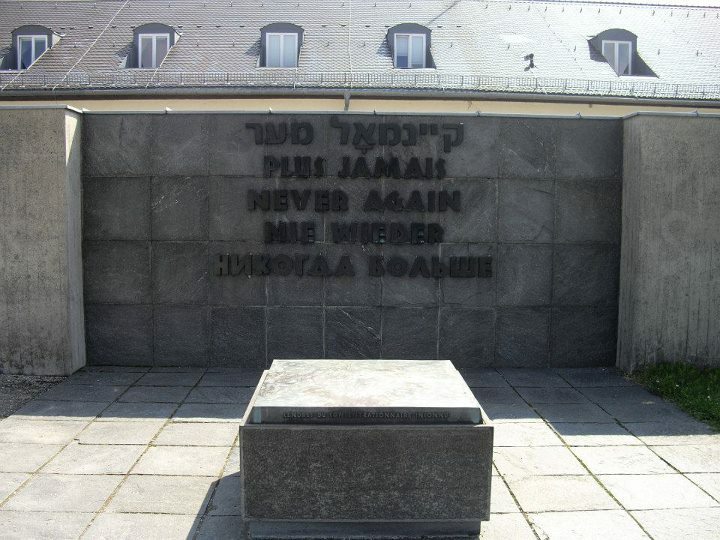 The whole time I was there, I was thinking about the marked differences between Dachau and the other concentration camp I visited when I was 16: Terezin in the Czech Republic. 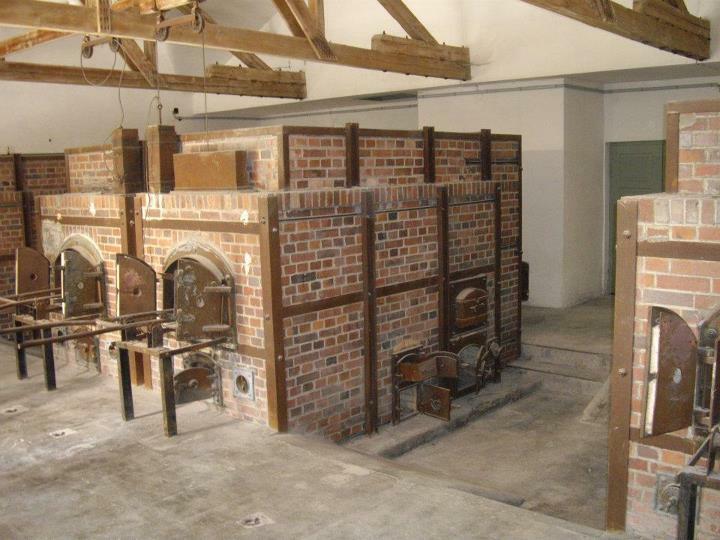 Dachau was very different, primarily in the fact that it was used for internment, work, and execution while Terezin was used primarily for internment. The audio guide had the expected history about different parts of the site, but also included first-hand recordings by survivors and liberators about there experiences. I thought that those first-hand recordings were the most powerful part of the day for me. I was able to explore the whole site: the museum (which used to be the administrative and maintenance building), the barracks, the bunker, the crematorium, the (unused) gas chamber with vents disguised as shower-heads, and the memorial sites. 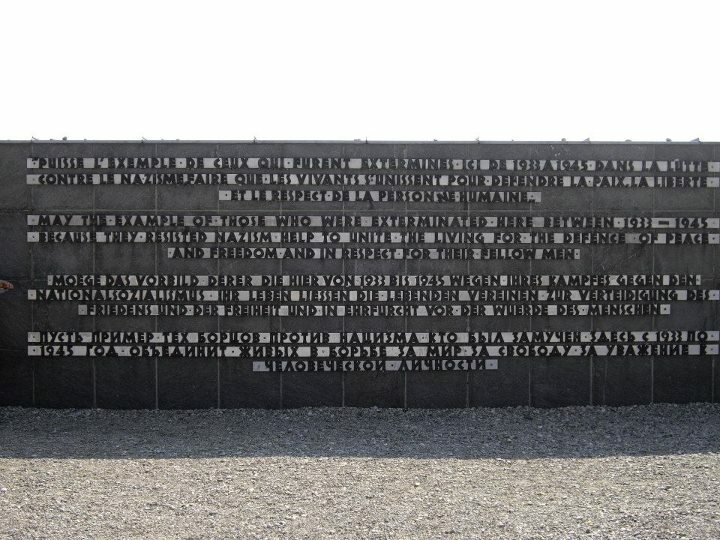 I felt fairly disconnected with the Jewish memorial that was there: it was off-center, smaller than envisioned by the architect, and not well-maintained (the Ner Tamid was not lit). 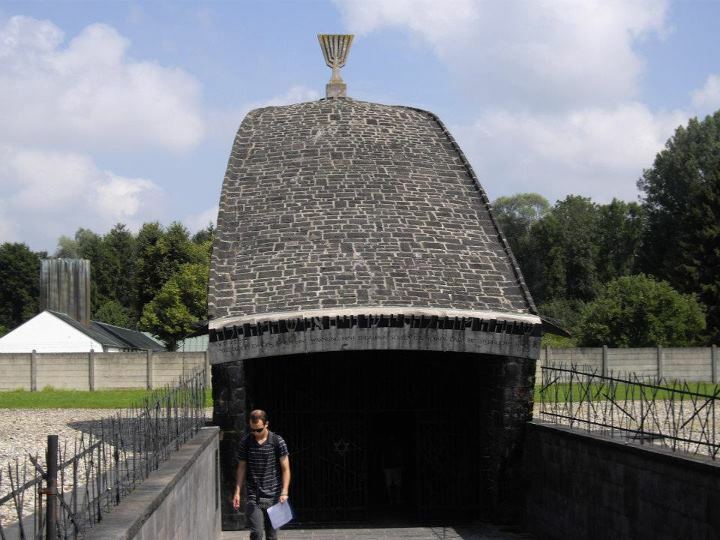 This was entirely unlike my experience with the secret synagogue at Terezin where the Jews interned were still able to hold services and maintain a Jewish identity. As with Versailles, the worst part of my experience was the groups of small children who were not yet old enough to truly appreciate the history. I know I was not the only one in our group who was upset that these groups of school children were gossiping loudly, running around, and being distracting while others were actually trying to comprehend the history and magnitude of the devastation that occurred there. We returned back to the hotel and grabbed a quick lunch at the restaurant next door. Following lunch, many of the girls went shopping while Harris and I set out to find a laundromat. We were each able to do a load of laundry while strange German pop music played over the radio and while the non-English-speaking proprietor stared at us menacingly. There was a bit of misunderstanding with how to operate the machines (as everything was in German) and I think we had set the machines on a hotter cycle than was intended. However, I don’t think (as yet) that any of my shirts have shrunk, so we got out of there fine. After we dropped our clothing off at the hotel, we adventured again toward the English Gardens, by the University in Munich. This was our third underground metro system, and our experience on the U-Bahn was not bad. It actually reminded me of the LA Metro in that there were no turnstiles, but you were supposed to buy a ticket, cancel it when you boarded, and could be stopped for a ticket inspection. The system was cleaner than the Paris Metro even though the trains seemed older. We took a very round-about way in finding the Chinese Tower of the English Gardens once we debarked from the U-Bahn. However, we did find it eventually and grabbed some food. Sitting under the tower where a brass band was playing while eating dinner was very pleasant. Finally we headed back to the hotel one final time. Alex invited everyone to drink with him in the lobby, so we sat around a table and hung out for a while.